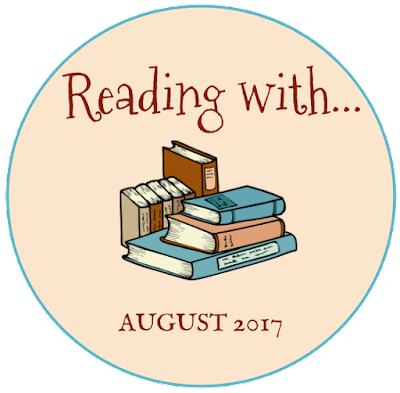 Little Miss Muffet's independent reading has just completely taken off this month. I have to admit that I used to scoff at parents who came to the library claiming their preschoolers could read, but this child (age 3 years, 9 months) has proven to me that some kids truly are natural readers. She has finished all of the Hooked on Phonics readers we had in the house, and she can read most of the Early I Can Read books without help. With help, she has also been reading I Can Read books and similar titles up to almost a second grade level. 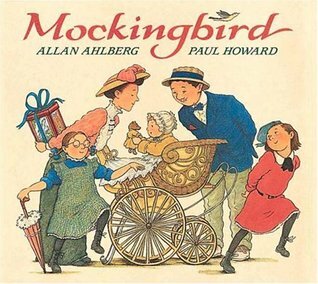 Her favorites so far have been the Little Bear series by Else Holmelund Minarik and Maurice Sendak, the Oliver Pig series by Jean van Leeuwen and Arnold Lobel, and the Penny books by Kevin Henkes. 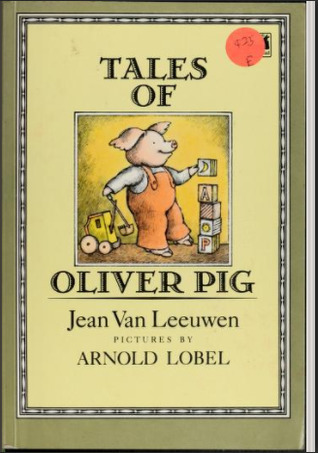 Personally, I am loving listening to her read Oliver Pig. Amanda Pig reminds us both of Little Bo Peep, which gives us something to laugh about, and I am enjoying the trip down memory lane, since I read many of the titles of the series as a kid. I'm also thrilled with how much she loves Penny. When she's not reading to herself, I'm still trying to keep reading aloud to her as many picture books as she will allow. Sometimes she grabs them away and says she would prefer to read them herself, but she is also still happy as can be to listen to Frances, Curious George, Lentil, Ira Sleeps Over and other favorites. 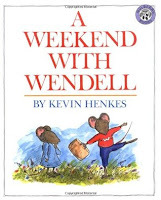 She continues to be completely obsessed with the Mouse books by Kevin Henkes, especially A Weekend with Wendell and Sheila Rae, the Brave, which Grandma recently sent to her after hearing our collection wasn't complete. My husband has also started reading Little House in the Big Woods aloud to the family after dinner, which I think will be a good habit for us to start, especially with a new baby joining the family. Both of the girls heard longer books read aloud as newborns and this will be a way to keep that going within our normal routine. Each chapter only takes about 10 minutes, and Miss Muffet is completely fascinated by the idea of a world without refrigerators or cars. Thanks to her sister reading A Weekend with Wendell aloud to her, she is also constantly asking for it so she can show us her favorite page. It happens to be an odd scene, where Wendell is hidden in the closet making noises and Sophie's tail is the only part of her visible as she flees off of the edge of the page. Every time she picks up the book, she flips immediately to that page and says in a troubled tone, "Oh, scary noises. Wen-all make-a scary noises." I have a feeling Kevin Henkes did not imagine that this page would be the most appealing of all the illustrations in the book, but you just never know what a toddler is going to find interesting. Bo Peep's other big discovery this month has been the Nini books by Anita Lobel Though I'm not sure I ever blogged about them, these books about a gray cat were favorites of Miss Muffet just before she turned two, and we had a feeling Bo Peep would also enjoy them. They came home from the library with my husband last week, and they were an instant hit. Now Bo Peep can be found wandering the house with either Nini Here and There or Nini Lost and Found, meowing and saying, "Who dat? Where Nini?" 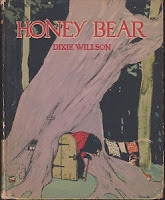 As far as read-alouds, Bo Peep's number one favorite right now is Honey Bear by Dixie Willson, a book my husband loved as a child, and which he frequently reads to her at bedtime. She's heard it so many times at this point that she can recite entire lines from memory. She also continues to be interested in anything baby-related, which makes sense since we're about 7 weeks away from the arrival of her little brother or sister. Her favorite babies are in Baby Dear by Eloise Wilkin and The New Baby by Fred Rogers.